8 Ways To Smoke Weed Without Papers | Vaping, Bong, Bubbler & More! Maybe you don’t like rolling papers. Maybe you think smoke is too harsh when using papers. Whatever the reason, many seek out ways to smoke weed without papers. 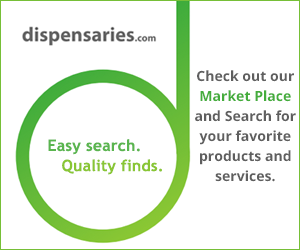 For the cannabis curious just starting out or the veteran marijuana user looking for a change, the following lists offer alternatives. We won’t even get into edibles, which is another way to enjoy marijuana. This list is for smokers only. The classic alternative. This is usually the first choice if you bypass rolling papers. Don’t be intimidated by the look of some bongs. They are easy to use. The marijuana is placed in a bowl and ignited. Many use ice or water at the base to cool the smoke. Simply inhale from the tube at the top of the bong. Many feel this is more efficient than rolled joints. Speaking of efficient ways to smoke weed without papers, vaping has its strong advocates. It also comes in many sizes and levels of technology these days. Vaporizers heat marijuana to just below the combustion point, creating a vapor that has the same impact as marijuana smoke. Some say more impact. Think of this as a mini-vaporizer. It performs the same function as a regular vaporizer, just at a much smaller size. Pipes are to bongs what pens are to vaporizers. In other words, they are good to burn a small amount of weed. Pipes can be made from just about anything – a toilet paper roll is the most infamous choice of college students everywhere. It’s much easier (and cooler) to get a small pipe, which typically comes in wood, ceramic or clay. In India, this is essentially a bong. A Hookah requires a bit more work with the preparation, but no more than the ability required to roll a joint. If smoking with flavored tobacco, it helps neutralize the smell of marijuana. The hookah also allows more than one person to use it at the same time. A nice choice for social settings. The long-standing choice for those on the go is a one-hitter. A one-hitter does not look like anything other than maybe a cigarette. It’s a simple cylinder with a place to pack on one end and a place to inhale on the other. It does exactly what it says it does – allow for one hit of marijuana. Very discreet. Only for use with hash oil. This is extremely potent. It also requires a blowtorch. We mention it only because it’s an option. But it’s not likely one you want to use. A bubbler lives in the space between a bong and glass pipe. Made of glass, the bubbler stands upright. It works essentially like a bong, but with less to carry around. It also has a bowl, mouthpiece and water chamber like most bongs. But it’s closer in size to a pipe. So, you don’t have to roll if you don’t want to. There are plenty of ways to smoke weed without papers. But if you do roll, make sure you check this out first.